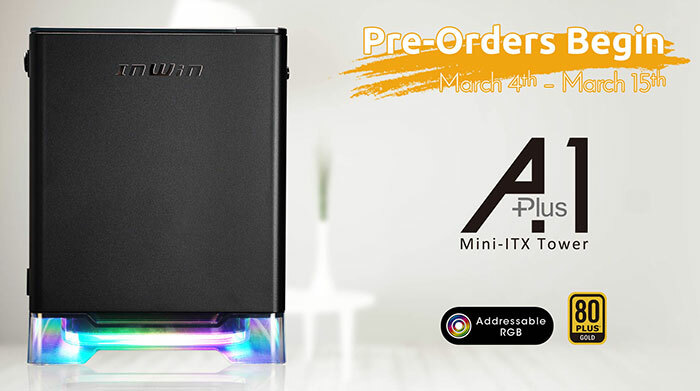 InWin has announced that its A1 PLUS Mini-ITX case is now available to pre-order from its web-store. 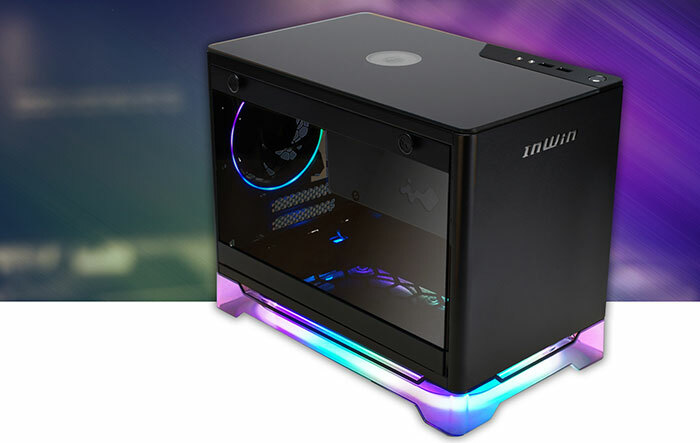 The InWin A1 PLUS update upgrades the attractive A1 offering from last year and was present in a small way in InWin's CES 2019 product showcase, overshadowed by the likes of the 928 Super Tower and the Z-Tower Limited Edition Signature chassis (again). The new InWin A1 PLUS is a highly attractive compact design featuring InWin's 'floating' design, just like its predecessor. Highlights of the case include its size, the built-in 10W Qi-compatible wireless charger, the addressable RGB lighting, the included 650W 80 PLUS Gold certified PSU with pre-managed cabling. If you compare the above to the original InWin A1 you will notice the A1 plus offer slightly better graphics card maximum capacity (320mm vs 300mm), a beefier included PSU (650W vs 600W), and the bundled pair of fans that feature addressable LEDs. You won't find the Sirius Loop (ASL120) RGB fans listed on the InWin website as they too are not ready until late March. I'm not sure if there are any subtler changes that haven't made it to the specs or features listings. For the improvements over the original model (video link) there is a price to pay. The new InWin A1 PLUS is available for pre-order in white or black for US$199, which is $40 more than the original version. Pre-orders are open from now until 15th March and the product will ship "in 10-15 business days". ..probably have to wait until at least Q3 before it's available in the UK though. My case was pre-ordered last year. makes sense, you already get the reviews from ces and the websites are live with the info. It's not like they're games. Did anyone see the jayztwocents video from CES with the new In-Win 928? Soooo nice. It seems like they really have the high end market covered for every form factor.